Hailing from Leipzig, one of the most promising bands among the vital young German jazz scene is giving its official label debut after its self-released EP „Telemark” from 2010. ISABEL FISCHER (bass), LARS OERTEL (drums) and THOMAS BÄR (saxophone) dedicated much love and attention to their rich, multi-faceted arrangements – e.g. during their stunning live performances which led the trio up to distant places such as Israel. Disregarding conventional song structures the LAURENT DE SCHEPPER TRIO creates a pretty unique musical concept that permanently shifts the mix ratio of basic musical elements into startling new constellations. 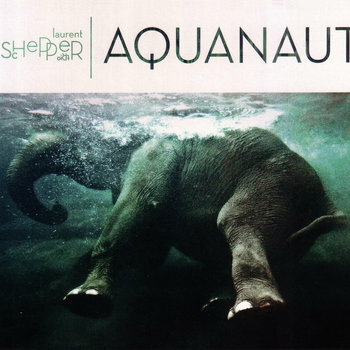 “Aquanaut” meanders from cinematic soundscapes to dynamic instrumental dialogues and back, exploring new grounds within the co-ordinates of NILS PETTER MOLVAER’s progressive now-jazz, TALK TALK’s ethereal art-pop and SONIC YOUTH’s freeform rock excursions, to name few of the trio’s influences and inspirations. Challenging, forward-thinking and yet an easily enjoyable – unconditionally and without prerequisites.